360 Game Booster, a brand new feature introduced in 360 Total Security Version 9, improves PC performance, reduces system resource load, and further enhances your gaming experience. 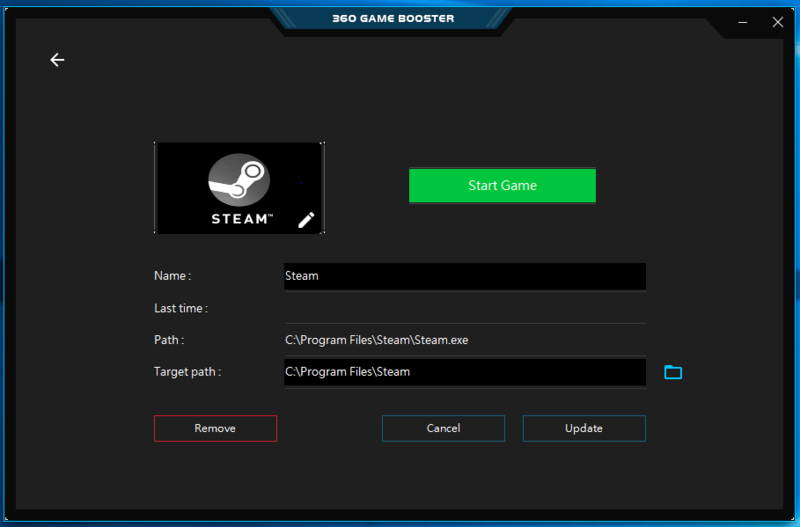 360 Game Booster optimizes your PC for gaming. By managing and turning off unnecessary processes such as system helpers and background tasks while gaming, this feature releases RAM required for intense game sessions. 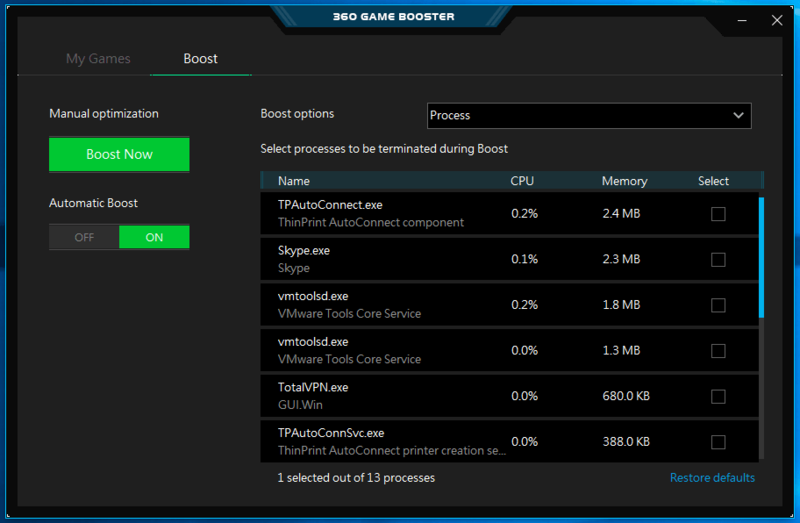 When you launch a game, 360 Game Booster is automatically activated to boost your PC speed. After you finish gaming, this optimizer will auto-restore your PC to the state it was before. Everything can be done with a single click. 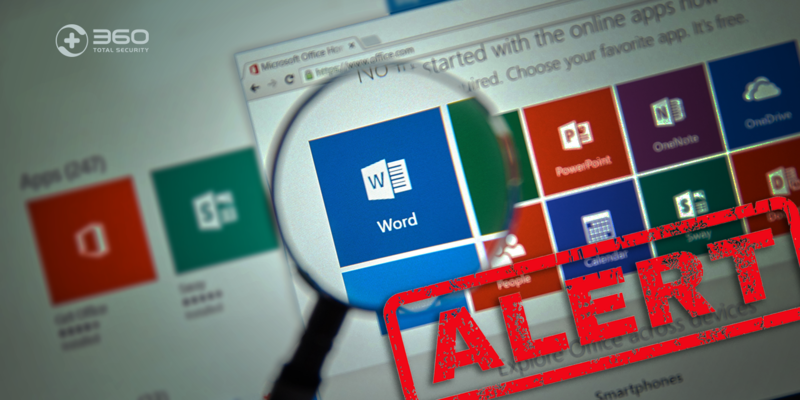 There is no need to manually turn on and off applications or processes for optimization. 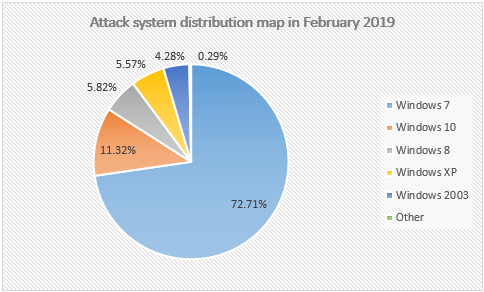 You can start a game on wherever you want, your desktop, start menu, system files, third-party service provider such as Steam, or the game library in 360 Total Security. By dragging the game into 360 Game Booster, you can save it as “My Game” and make more customized edits. For example, you can replace the featured image of a game with another picture or even an animated GIF based on your preference. 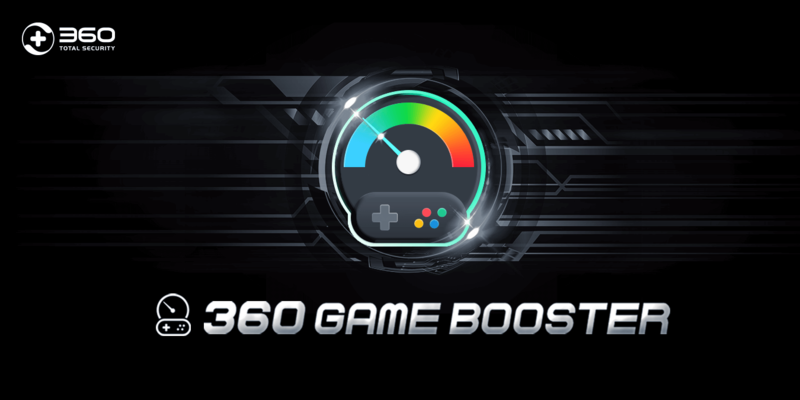 360 Game Booster provides boost options recommended by optimization specialists to reduce in-game lags and focus computer resources on gaming. 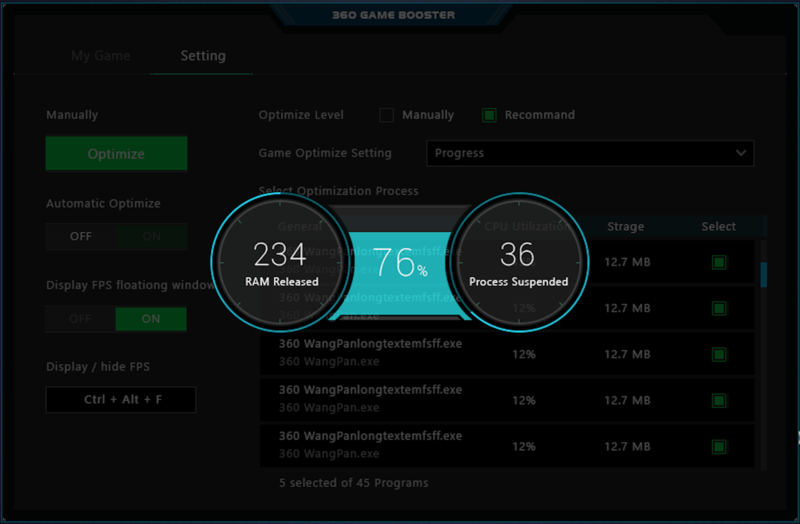 In addition to optimal settings already tailored for PC, advanced gamers can also fine-tune boost settings with Manual Optimization, so as to further speed up system performance. 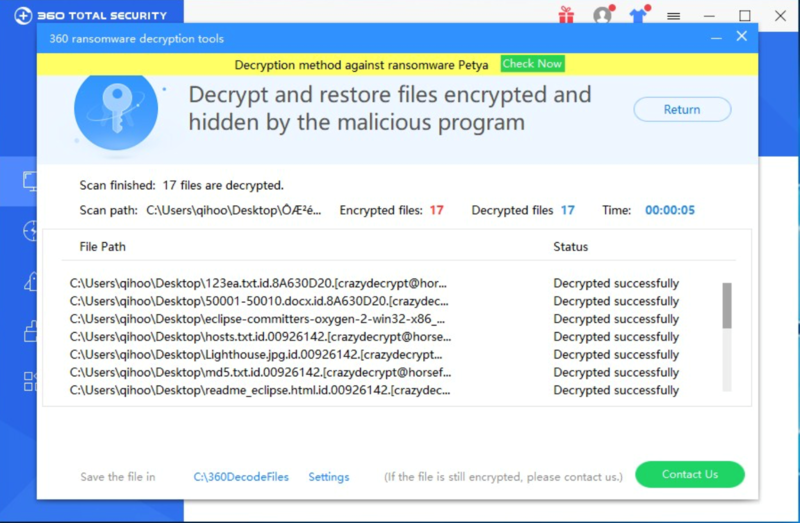 360 Game Booster is a new highlight in 360 Total Security Tool Box. 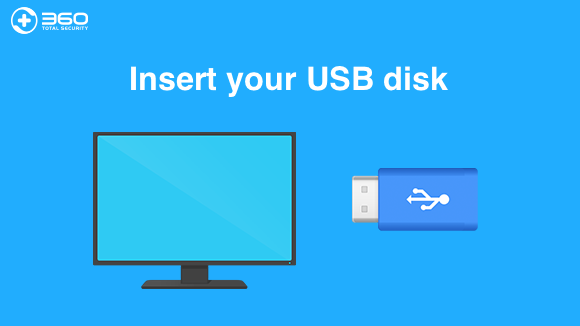 With one click, you can keep your games running fast and smoothly. Download to start an ultra-fast gaming experience today!